Two books published late in the year (and, incidentally, beautifully produced) serve as powerful reminders that slim needn’t mean thin. One is Something of His Art (Little Toller, £12), in which, over 91 pages, Horatio Clare retraces a formative walk through Germany made by JS Bach at the age of 18. 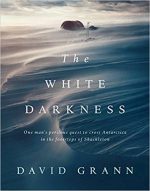 The other is The White Darkness (Simon & Schuster, £12.99) by David Grann (142 pages), which tells of the British Army officer Henry Worsley’s obsession with crossing Antarctica in the footsteps of Ernest Shackleton. Bach walked the 250 miles from Arnstadt to Lübeck in 1705 to seek out Dieterich Buxtehude, organist, musical director and the most exciting performer of his day, so that he could “comprehend one thing and another about his art”. He travelled alone, and didn’t keep a diary, so there’s no detail on his route and stops. Clare, whose book began life as Bach Walks, a documentary series on Radio 3, was joined on his journey by the producer Lindsay Kemp and the sound recordist Richard Andrews. His job was to walk ahead and, while they recorded the sounds of the modern-day landscape, muse on the place and the man, trying to summon something of what Bach would have seen and felt as he tramped the same paths in the 18th century. He succeeds brilliantly. The book has both the rhythms of a good walk and the gathering power of a great piece of music. Tentative at the start, with guesses as to what Bach might have packed, questions over how he might have behaved on the road (“Did he fall into conversation, or hold himself apart?”), the account gains in confidence until, as he turns the handle on the door of the Marienkirche in Lübeck, Clare feels Bach is right beside him. So does the reader, who has learnt along the way how Bach’s music got Clare through a bad time. David Grann hates the cold but has long been fascinated by polar explorers, so when he read in 2015 that Henry Worsley was intent on doing what Shackleton had failed to do, he was immediately drawn to the story. 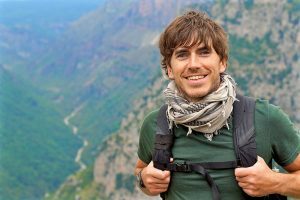 His book, which was first an article for The New Yorker, draws on Worsley’s own account and on interviews with the adventurer’s wife and children and his friends and colleagues. It has photographs both from the frozen south and the family album. Most of us would ask another question: why did Worsley — a devoted family man — get into this? Grann, in attempting to answer it, has written a compelling story about compulsion.